I created this logo to reflect my background and the vision I have for this company. 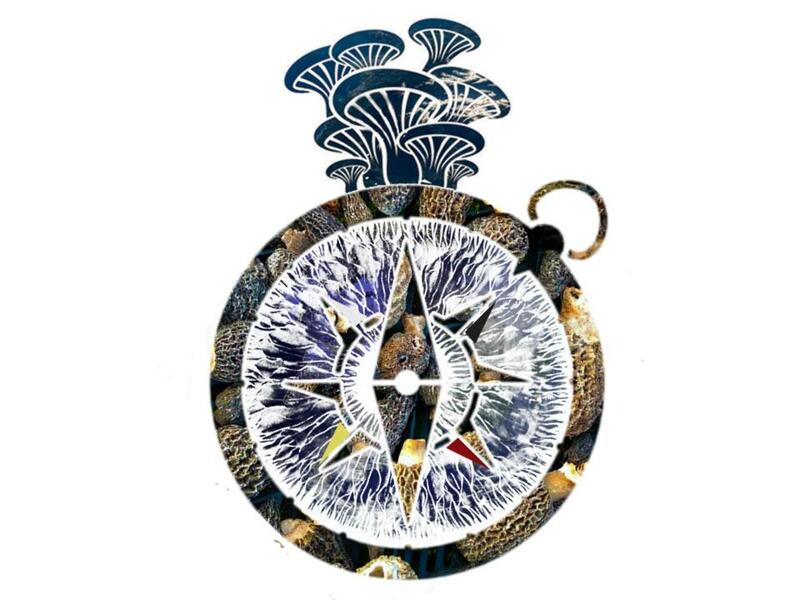 The compass, made up of fire morels. A reminder to the lands I grew up on in central Washington and their tendency to burn each ear. The morels along with the water colored mountains of wildfires are a reminder that destruction can lay the groundwork for health and rebirth. The spore print behind is made up of the earth, a reminder that no mater what direction we are headed our relationship with earth and her health holds our focus first and foremost. The four directions hold they colors of the native teachings I have been raised with since I was a very small child, and remind me of my greater family, as well as the people who were here first. They remind me of the loved ones who have crossed and are helping me from the other side. Finally the oyster mushrooms on top, are created from an areal photo taken by NASA of the Olympic Peninsula, specifically Edis Hook of Port Angeles is in the biggest mushroom of all. It is a reminder of the importance this place holds to me, and my goals to help transform the extraction based economy towards one closer to regeneration. The mushrooms are the ones leading me down the path to build a stronger and healthier community. So, that is the story behind the logo. I will be selling T-shirts or canvas shopping bags, soon so keep an eye out if you wish to rock my bling and let me know which you would rather have.